where do you mount your tachs? I have been holding this back since this post was made. SOLD your a good girl LILLY! No. I do it to. Kinda cheesy i think. It looks goofy when in park or 1st as stated before. I would really like to put it on the dash in the corner but can't because the base is rounded and it wouldn't mount right. It's an old sun tach from the 70's. Mabey i should get a new one. 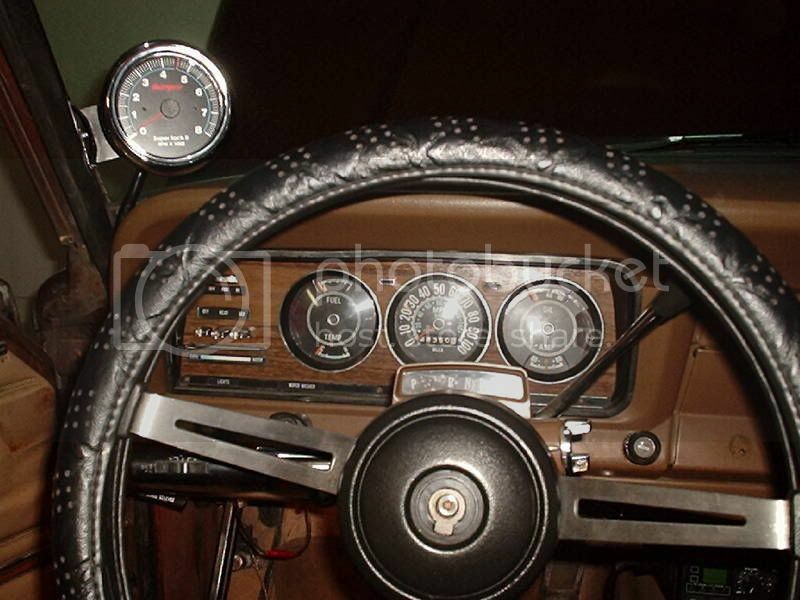 Mine is on the steering column with the silver trim ring the other guage on the steering column with the red trim ring is vaccum. I have mine mounted on the column with a metal hose clamp - same as a few pictures above. Its an inexpensive Sunpro. I have a manual trans and steering column. My engine doesn't see more than 4k, although 3k is the norm. I was about to ask for this... I want to see exactly how it looks with the late interior. 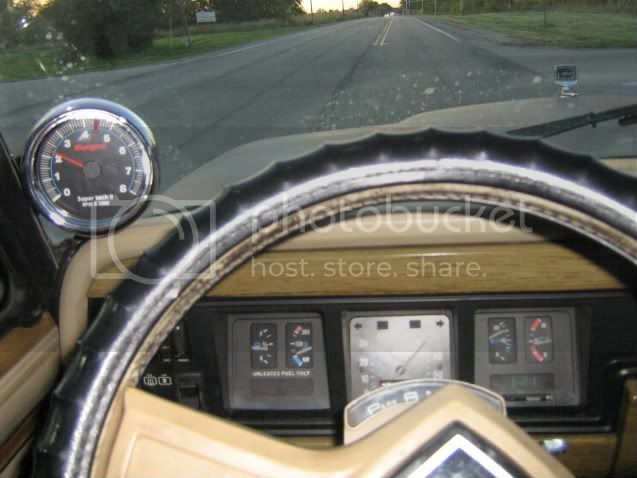 Is that a 3-3/8ths tach or a smaller one?? From my install post. Not really an option unless you swap to a stick though. 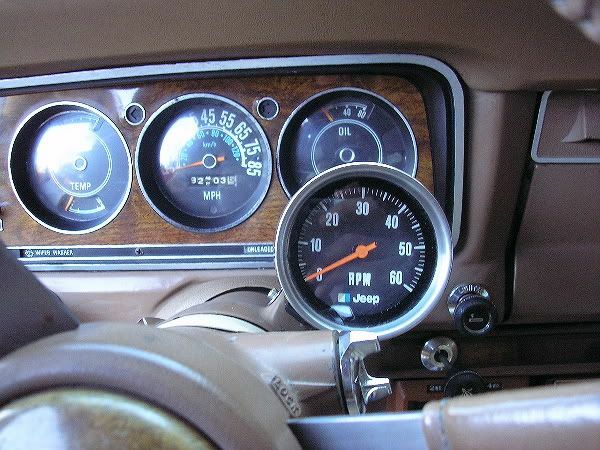 And no, it doen't block the gauges in the way it looks in the pic. I can still barely see the amp gauge over it.